Strategic Play Group Ltd. - What the Duck! 7 Theories & 6 LEGO bricks! What the Duck: 7 theories can be illustrated in 3D with just 6 LEGO® bricks! 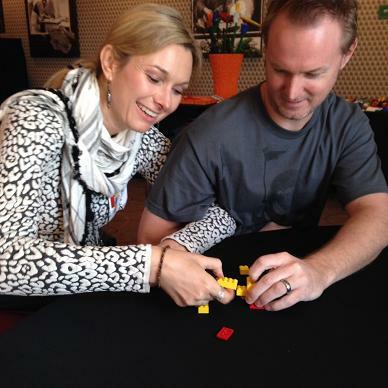 Most recently we spent two fantastic days with some highly creative minds at LEGOLAND in California. I know, what’s not to like—California in November with some amazing people. Not only did we have a great time in the park and shopping but we also shared ideas with friends, old and new, on even better ways to build with LEGO® bricks. It was the ultimate adult play date! You may know the LEGO® Systems Group’s humble beginnings all started with the wooden duck. For this reason, there is a very sentimental connection to the duck and the four yellow and two red “duck” bricks. 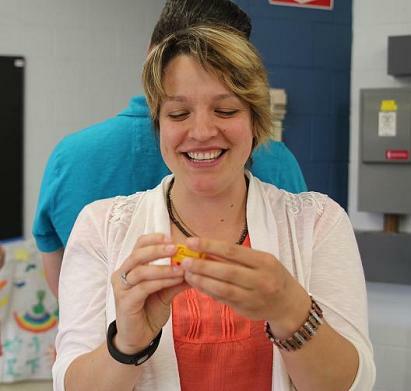 In the spirit of innovation, learning, experimenting, co-creating, and making the world a better place, we decided to bust out the six duck bricks and see what else we could build and what connections we could make. At Strategic Play® have been playing with ideas around the duck bricks for quite awhile, and we decided the innovations would be great in our new book. So we asked our community for help, to see if they could build on our ideas. As a result, we co-created quite a few more. Strategic Play: The Creative Facilitators Guide. And if you are looking for some training that includes the duck activies, we have some coming right up next month. So the next time you are wondering “What’s so great about LEGO® bricks?” The answer is: EVERYTHING—they really are awesome! As a facilitator on that playdate (in California in November) I can personally attest to the fact that we took the duck in so many new directions our tail feathers were spinning! The possibilities felt endless; our only constraint was that time ticked away too fast. There are a lot of things to learn from the ducks. It is impresive what we can learn from 6 bricks! quac quac! Greetings from Costa Rica.